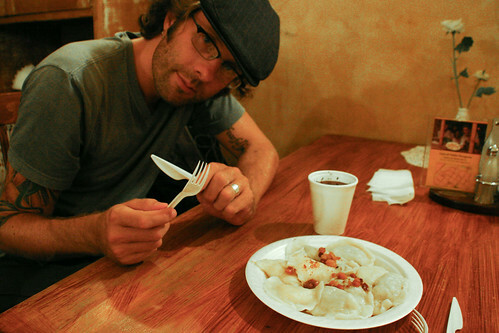 Though much of Poland’s food and drink hasn’t yet crossed over onto the world’s table, Pierogi have undoubtedly been sighted here and there. 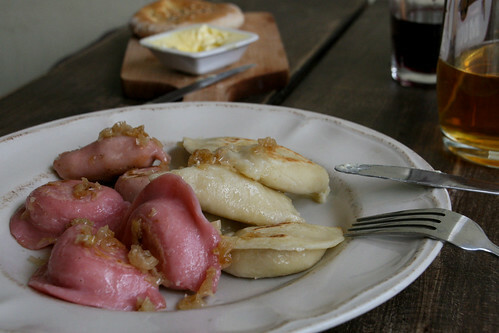 A great example of how a simple thing is often the best, Pierogi are semicircular dumplings filled with the whole gamut of sweet and savory fillings. They are best when boiled and subsequently pan-fried with butter. Make that: cheese and potato filled Pierogi (Ruskie Pierogi) boiled and pan-fried with bits of bacon, a big handful of onion, loads of butter, and served with a spoonful of sour cream… cue simultaneous heart attack and drooling. 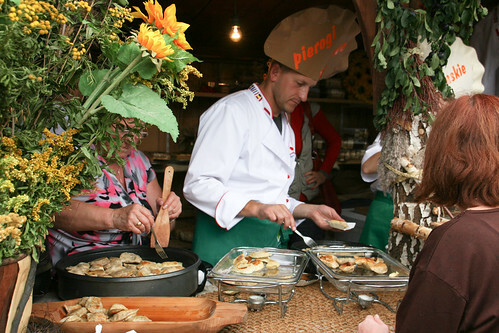 As Poland turns its attention to serving visitors more steaming bowls of traditional goodness, a special kind of treat has come along: The All-Night Pierogi Shack. Genius work, Poland, congratulations. For about $3 US, you get a nice plate of Pierogi, any old time of the day, along with Polish cheesecake, beet soup, and fun Polka music too. We wouldn’t just sell you on some cheap 7-11 boozer food… these are actually quite tasty! 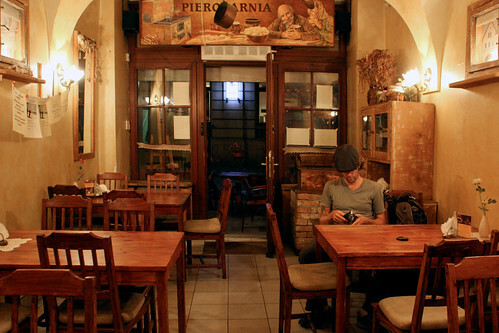 The Pierogarnia location in Krakow’s Old Town serves around the clock — Pierogarnia has appeared in other large cities, but hours are unknown. Here’s a good start for making some of your own, complete with homemade dough. 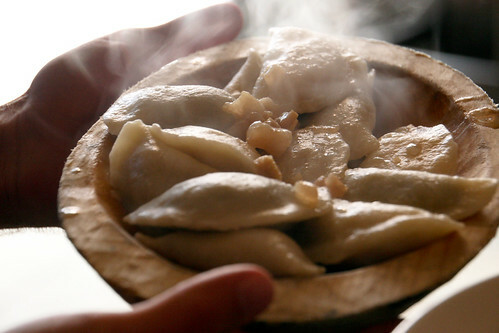 If you want, you can apparently order some traditional pierogi online — these come from our fine nation’s “Pierogi Pocket”, an area including New York state, Pennsylvania, Indiana, parts of the northern Midwest and southern New England. Or you can always hook it up with some Mrs. T’s (available widely in the States) and go crazy with their recipes for Mexican Pierogy Lasagna, Pacific Rim Pierogy (note the “y” spelling), and other decidedly non-native ideas. Mrs. T’s is even on facebook. Pierogi apparently, are conquering the planet. These pierogies look incredible! But that might just be the result of your fabulous photography. Makes me miss my Ukrainian, pierogi-loving grandmother. Your photography and the rest of the blog are awe-inspiring, clean, welcoming, and unique. Great job and I look forward to following you on the rest of your journeys now that I’ve found you! Thanks for the compliments! 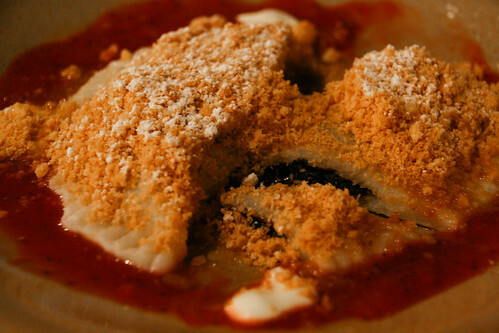 The pierogi, we must say, are even more spectacular in person.